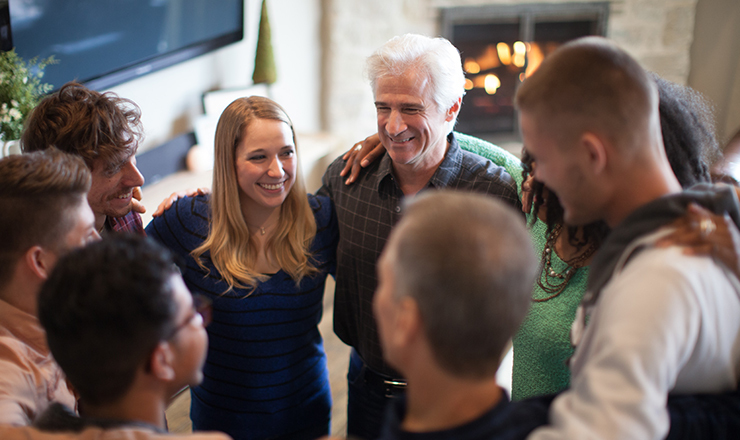 Entering the group leader’s home, my family immediately connected to the kind, welcoming group of fellow believers. Because of small groups, my family went from being an “every other Sunday” Christian to committed believers. From high school small groups all the way to young married groups, I have continued to be involved in small groups since then. It has changed the way I relate to my church and how I think of the “Body of Christ” as a whole. As the body of Christ is made up of many parts, so is your church. Preaching broadly applicable sermons is a great source of spiritual growth, but small groups can offer specialized messages and education for the specific circumstances of your believers. This can provide them with a group of fellow Christians who have gone through the same experiences, and offer biblical teaching and devotions tailored to their exact circumstance. It also provides them with friends who can support their progress and encourage participation and volunteering. My small group loved working together at church events so much that we started volunteering at a local soup kitchen twice a month. Small groups can help fill the void between Sundays, and help build a church family from the ground up. I still keep in touch with the friends I made in small groups, and I don’t know where I would be without them. Are you ready to empower your small groups, but aren’t sure how? CallingPost can help! With CallingPost, you can organize your small groups, send out specialized texts and emails to specific groups to remind them when and where to meet, and even map out where the best places are to form new small groups! You can build websites, keep calendars, and organize volunteer lists with ease, all with a low monthly subscription to CallingPost!